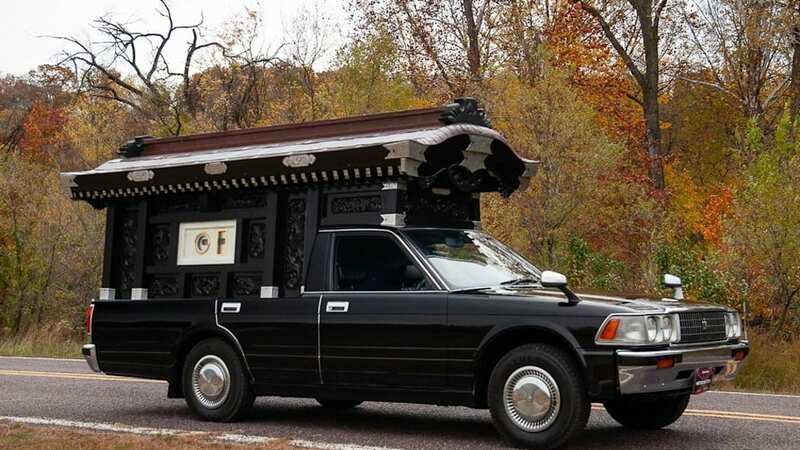 "Hey, imagine what the most Japanese hearse would look like?" 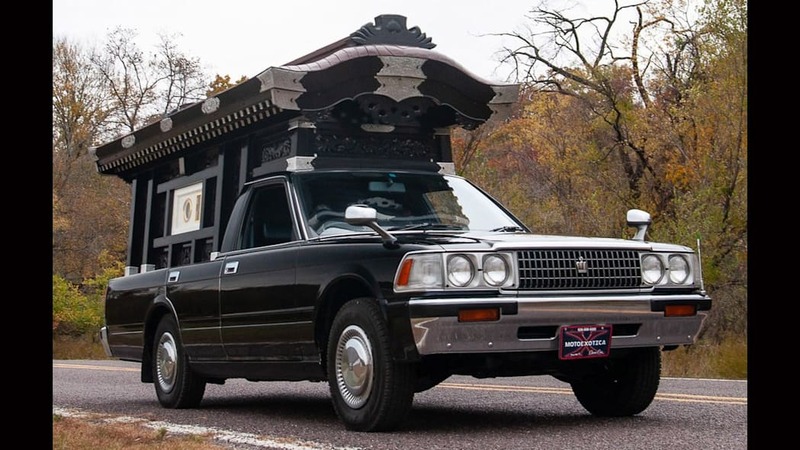 I ask my wife upon discovering this 1991 Toyota Crown Hearse on eBay. "Oh no, it's not like kawaii, is it?" she fretted, before laying her eyes on this, her mouth soon agape. Nope! It's wonderfully Japanese in the exact opposite way. 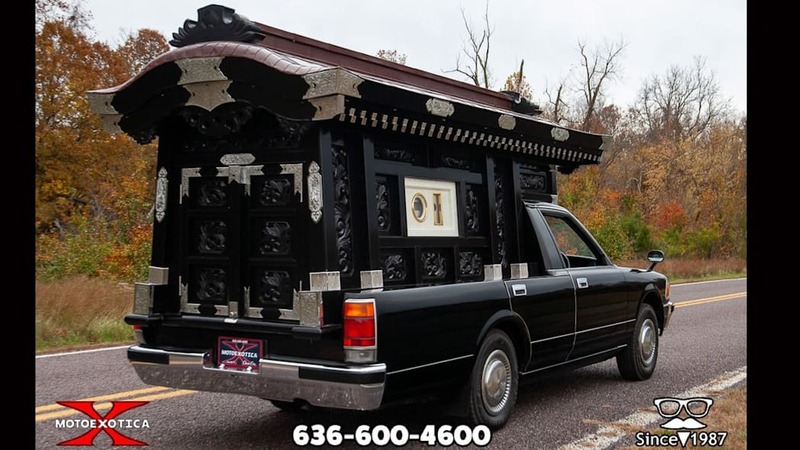 After a quick Google search, it wouldn't seem that utilizing elaborate, classic Japanese design and craftsmanship on a hearse is unusual. 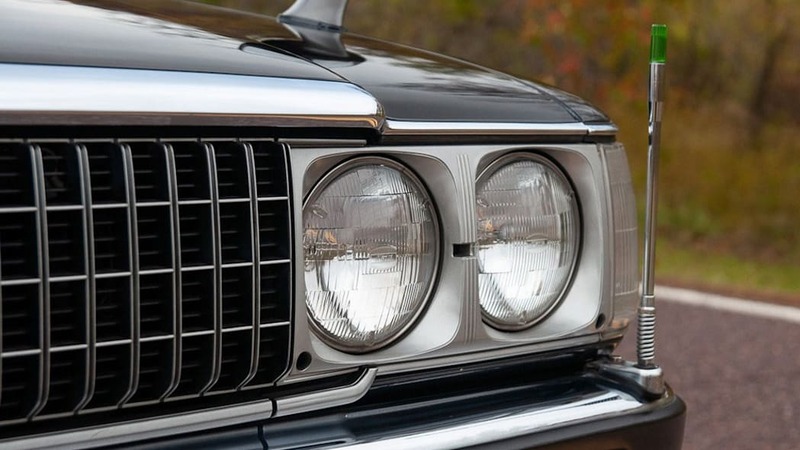 Still, the fact that it's attached to a Toyota Crown, perhaps one of the most Japanese cars imaginable (those fender mirrors alone, my word), makes it all the more special. 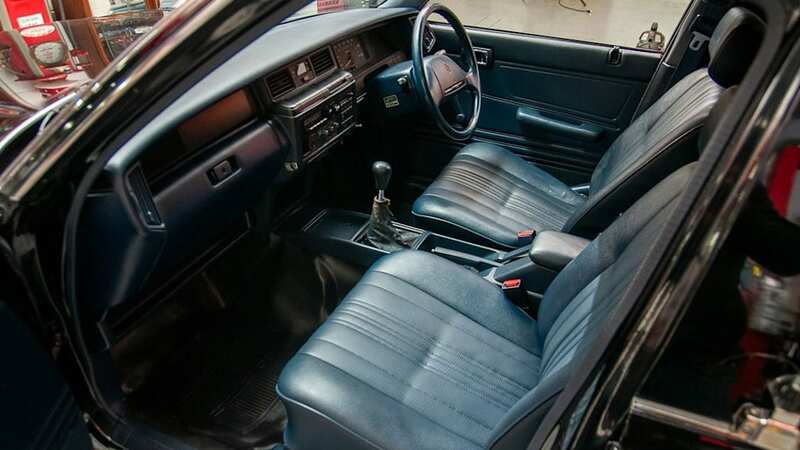 Also, the fact that I found it using the parameters of "manual transmission" and "Toyota" meant it was in a list of old Land Cruisers and 86's. Talk about a juxtaposition. 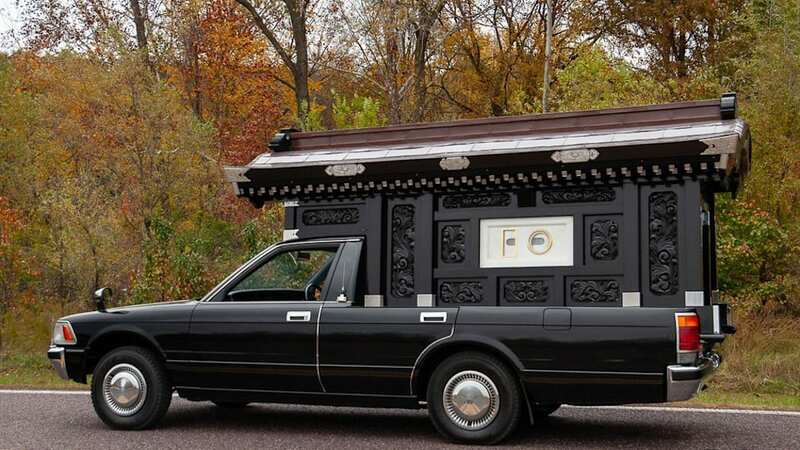 And yes, burying the lede a bit here, this Toyota Crown hearse has a manual transmission. As such, your loved ones can rest in peace knowing their hearse driver was fully involved in driving them to their final slumber. I know I'd sure appreciate that. 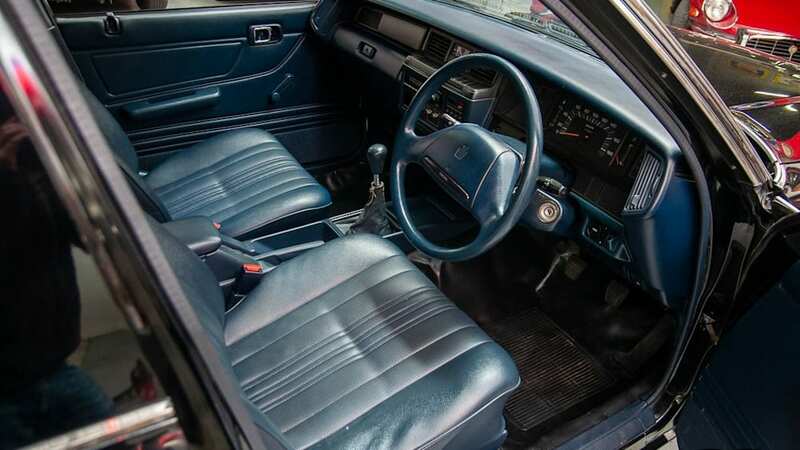 The ad notes, "The handmade craftsmanship on this unique vehicle is exceptional. 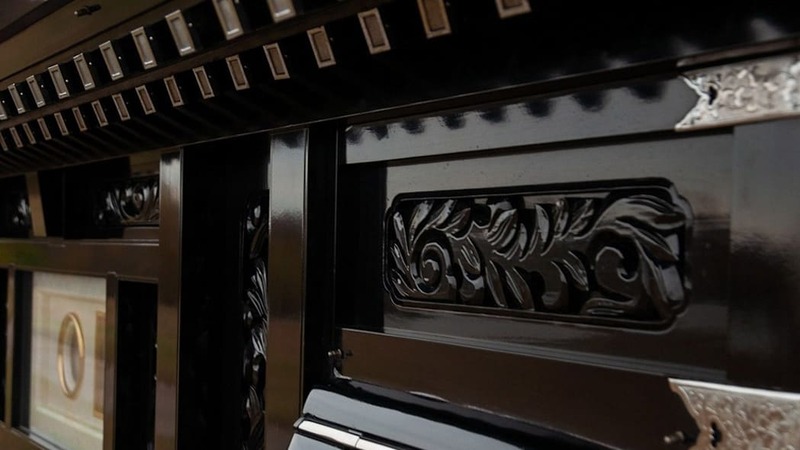 It is all handmade wood construction with hand-laid copper roof and tooled metal detail. ... 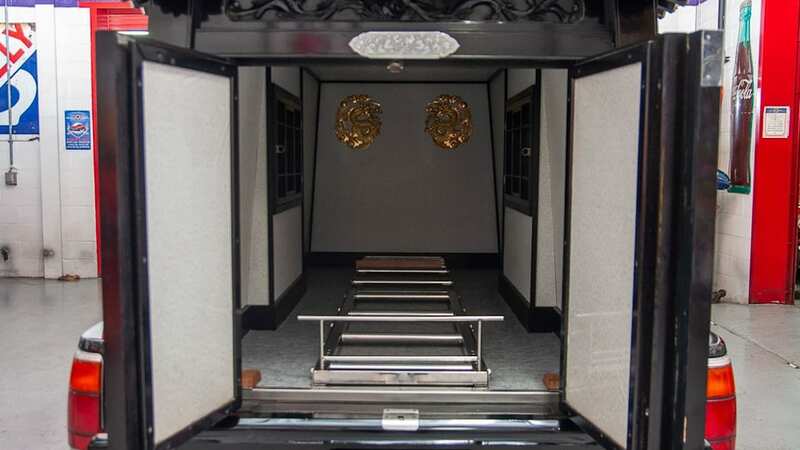 The cargo area is functional for caskets to make your next Halloween that much more macabre." Indeed. 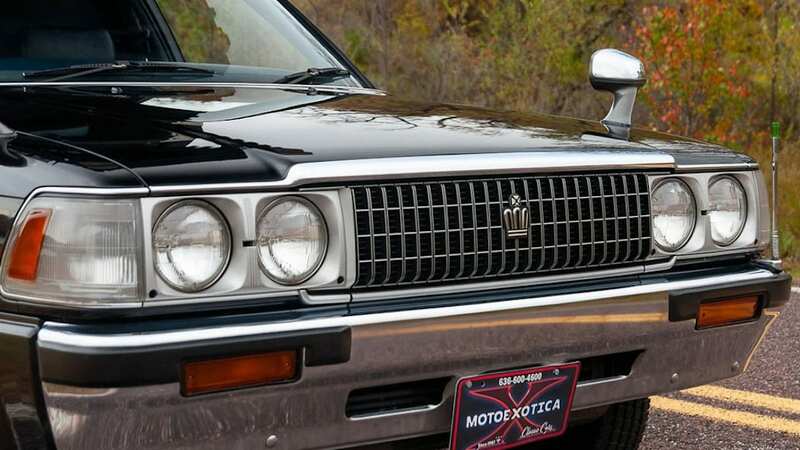 For those wondering, this 1991 Toyota Crown has a 2.0-liter six-cylinder engine, and there's only the equivalent of 36,934 miles on it. 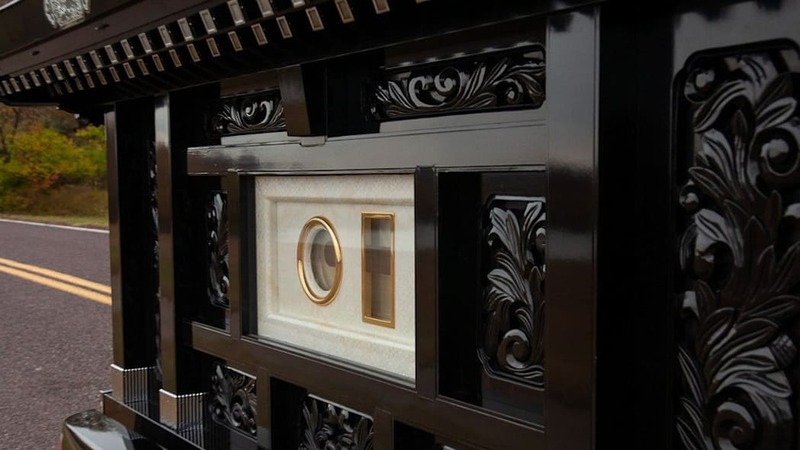 I mean, were you expecting the mortuary in Japan to take it on road trips to Fukuoka?